Leading Manufacturer of pneumatic impulse sealer from Mumbai. 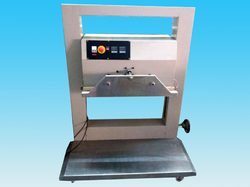 We offer Pneumatic/Impulse Sealer to our customers. These seal joint types are available for tension, seal and cut strapping. Air pressure: 60 p. S. I- 80 p. S. I. It is a single reverse notch pneumatic sealer. Looking for Pneumatic Impulse Sealer ?